Romance was in the air for Ashley and Jim on Saturday, August 20th, 2011. 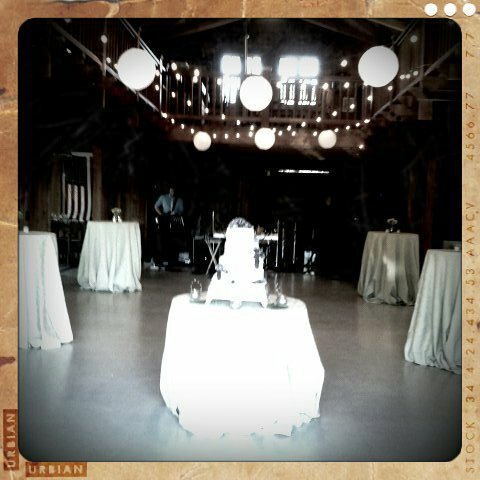 The ambiance was rustic, simple, yet very elegant. 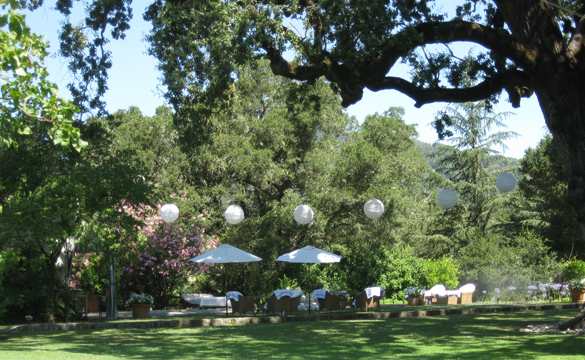 The ceremony and reception took place at the Montington Vineyard Estate in Napa, CA. Hartmann Rentals provided the chiavari chairs,rustic wood tables, string lighting and awesome lounge seating that was very popular. The Bride’s gorgeous hair and make up was done by a close friend and co-worker Nathan Lawrence. What a special touch having the Groom’s 80 year old grandfather officiate the ceremony. Blooms by Martha Andrews designed all of the wonderful flowers that gave the bride everything she envisioned for her day. Wine Valley Catering provided the most amazing family style dinner that included a pig on the roast! As always, working with Photographer Allison Stahl made the day run smoothly and effortlessly.An extra special thanks to RichFugere, Tasche Vibe, M&MSanitary, Pure Luxury Limo for a fun filled event! What an exceptional day with a smooth and relaxed feel for all.Special thanks to all of our vendors that contributed. More pictures and details to come. Congratulations to Ashley and Jim. We wish you a lifetime of good health and lots of love!! A few months ago we blogged about a tour of Napa Valley that we went on hosted by La Tavola Fine Linen. 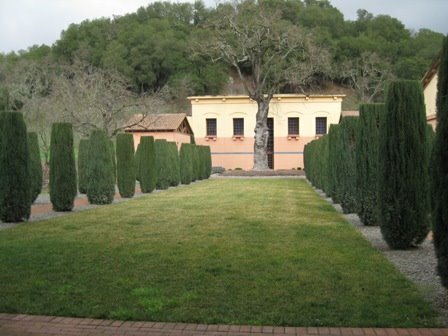 On our tour we visited several beautiful venues, one of which was Shady Oaks Ranch and Vineyards. We loved Shady Oaks and took lots of pictures to share with you, but because our visit took place during the winter our pictures didn’t really do the site justice. So today we’re revisiting that old blog post, this time with updated pictures that reflects the appearance of the site during the summer. So much better! Thank you Lu Ann for the great pics! We all know that Napa Valley is a hot spot for weddings, but with so many different vineyards, inns, and ranches to choose from, it can be hard to narrow things down and find a venue that is perfect for you. The girls here at Arcularius Events want to help all you venue-hunting brides out there by saving you the legwork and sharing some of the most interesting venues we’ve seen. 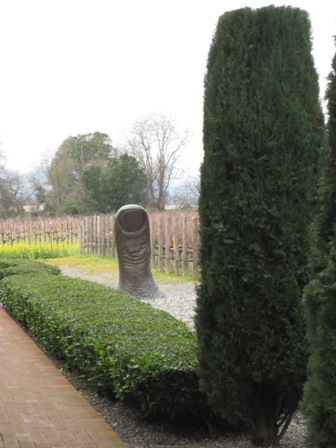 Over the next few posts, we’re going to show you the unique, beautiful, and somewhat lesser-known places that we got to visit on a fantastic Napa Valley site tour hosted by La Tavola Fine Linen. 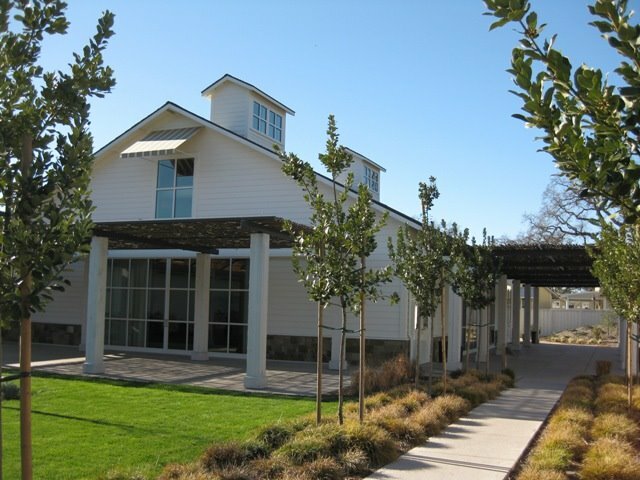 The morning of our tour started at La Tavola’s gorgeous Napa showroom, where we were picked up by Pure Luxury Wine Tours, a Napa-based green transportation agency. Pure luxury drove us in an uber-comfortable shuttle bus to our first site, Shady Oaks Ranch and Vineyards. 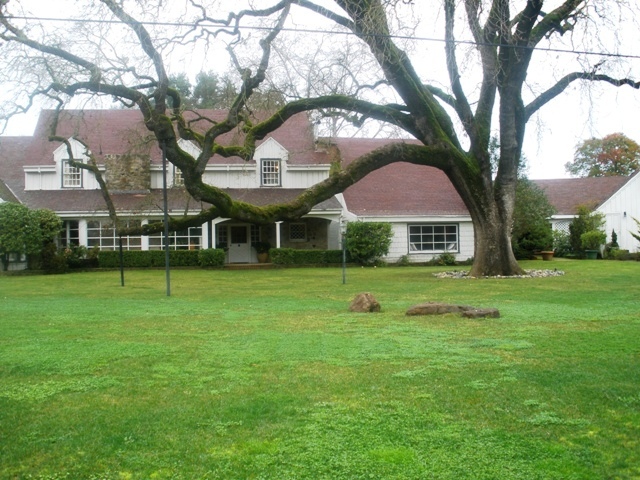 Shady Oaks is a lovely site in the heart of Napa Valley with expansive green lawns and lush gardens. The main estate home sleeps 16 and is accompanied by 3 more cozy cabins that come with rental of the site. 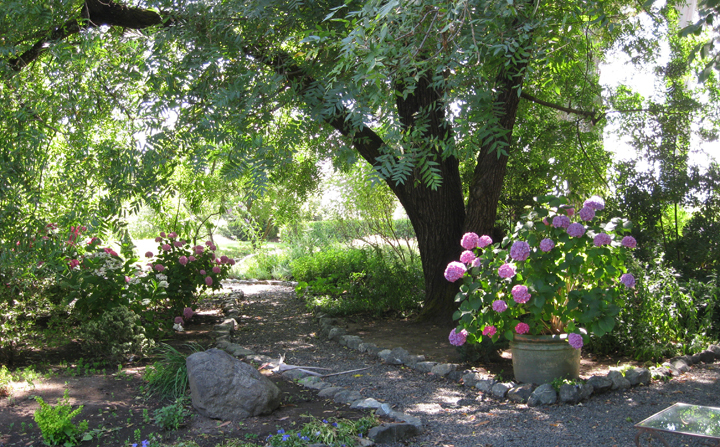 The 12.5 acre grounds are home to a reflecting pond and gazebo, several intimate gardens, and 400 year old Oak trees (the oldest in the valley). 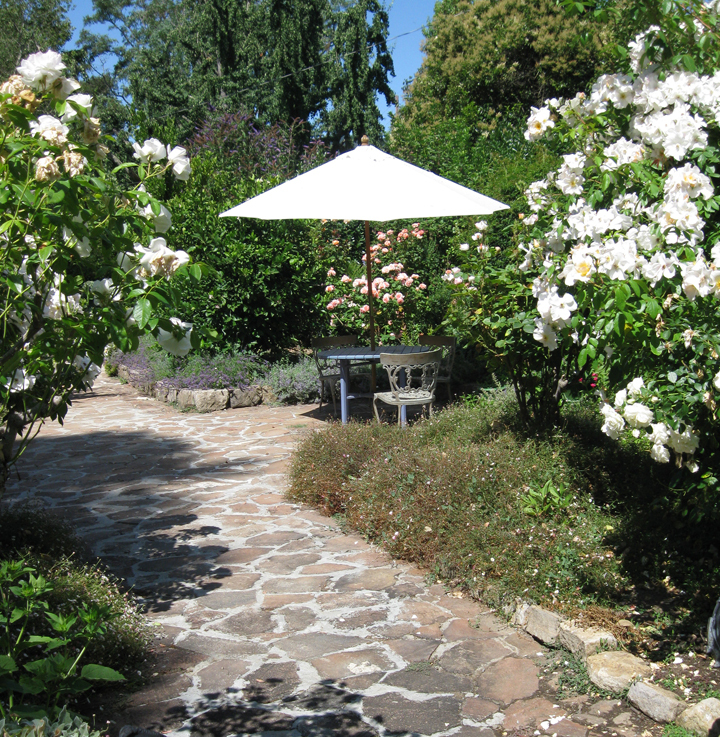 Shady Oaks is secluded and romantic and, with little lights scattered among the gardens and a string quartet playing, would make the perfect setting for a fanciful, elegant, Secret Garden-type wedding. 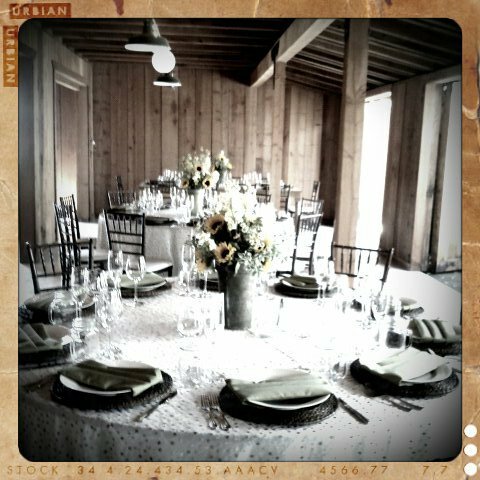 This is one of my new favorite venues in the Napa area. The look has been described as “Napa barn meets San Francisco loft.” Is there a better look than this? As most people know, wedding venues and wineries range from $6,000 to well over $12,000 for rental, but Solage is reasonably priced well under these amounts. The chef comes from The French Laundry and is fantastic. This is a site to see. 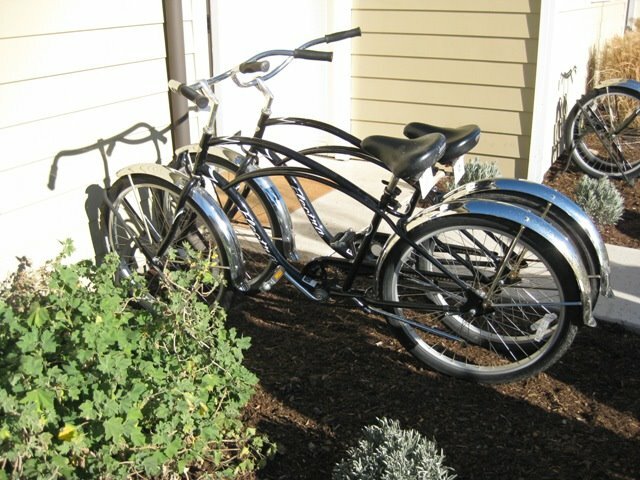 Cute bikes await each guest in front of their steps in case they would like to get around the property quicker or ride the Silverado Trail. 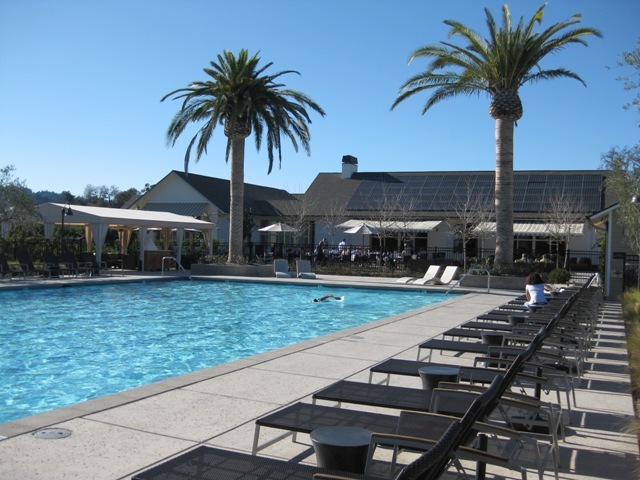 The wine country is literally outside the doors of this resort and just a pedal away. Incredible pool with the option of private cabanas for bridal parties to rent. The guys might enjoy this while the girls are in the spa on the wedding day. The reception venue. New barn rustic feel. A very open space with complete range for unique looks and design ideas. The outdoor ceremony site is gorgeous in bloom. Mountain backdrops and another great open space to work with. I can’t wait to go back and visit soon! 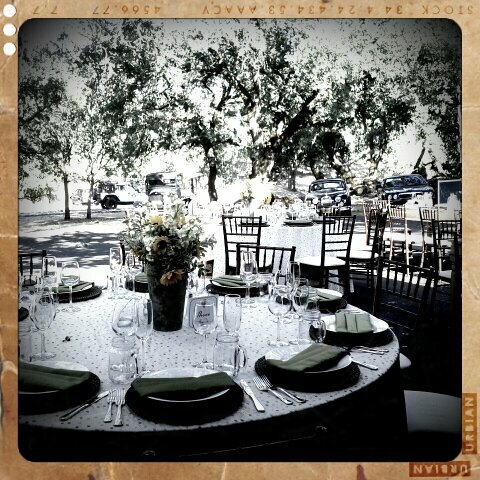 Saturday was a full day of rehearsal dinner site searching in Calistoga. 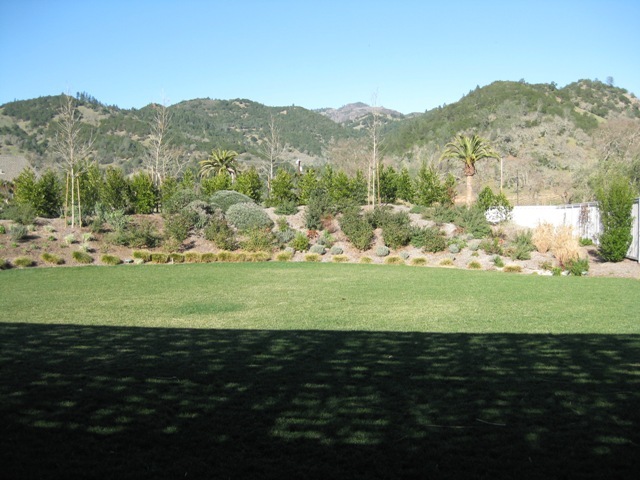 The concept is to find a great winery in Calistoga (near the wedding site) to invite the wedding guests to the afternoon prior to the wedding day. Tour, taste and enjoy a uniquely romantic European style picnic lunch. 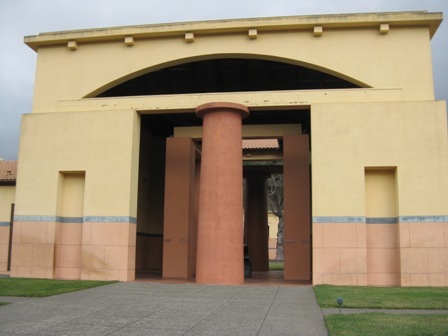 Each guest will be offered a hosted tour of the winery, tastings of the current flight of wines, and then everyone will group together and sit on the grassy lawn to enjoy some good food and good company. Each unique picnic basket will be lined with a custom fabric clothe and filled with sparkling water, baguettes, meats, cheeses and other treats for the guests. We viewed three wineries and the decision was simple for the bride. 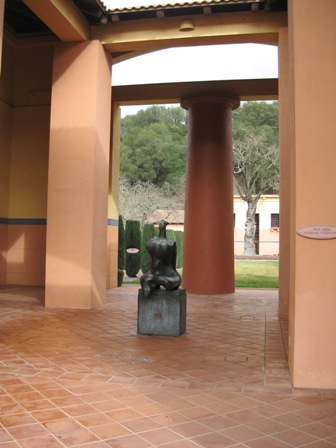 She chose Clos Pegase Winery. Here are some photos of the winning winery.